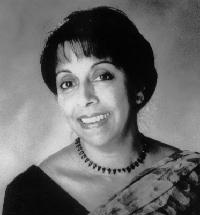 Professor Yasmine Gooneratne was born in Sri Lanka, and finished her studies at Cambridge University. She won acclaim as a critic and has published several works of literary criticism and two previous novels. The Sweet and Simple Kind, her first novel to be available in the UK, was shortlisted for the 2007 Commonwealth Writers Prize and nominated for the 2008 Dublin International IMPAC literary award.